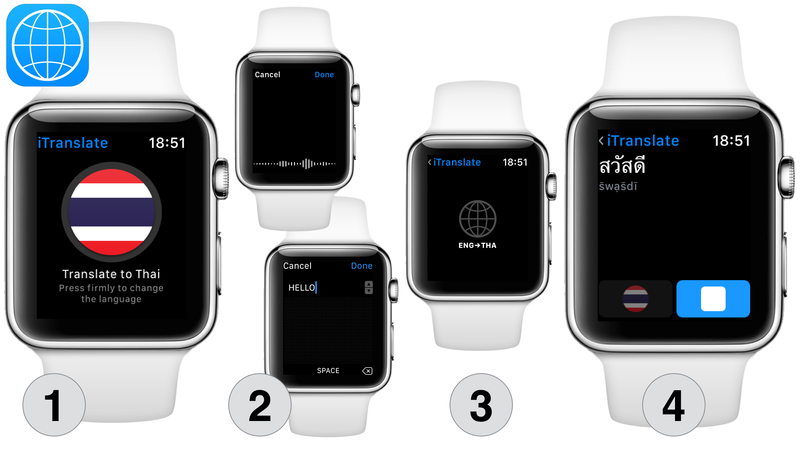 If you are urgently looking for a translation you should try out iTranslate for  Watch. All that glitters is not gold especially when it comes to automated translations. I don’t have experiences in other languages than German and Thai but translations from English into these two languages are most often horrible. Microsoft’s automated translations of their knowledge base articles are good examples for the lack in quality. So use iTranslate just in the free version if you like to look up some word translations on your Apple Watch or iPhone. The app is quite good but it again shows the sheer impossibility of acceptable automated translations. Btw, as long as the grammar of languages isn’t changed into processor-friendly rules we won’t see acceptable translations done by machines. Sadly.